Patriarchal condolences over demise of His Beatitude Metropolitan Vladimir of Kiev and All Ukraine. In the morning of July 5, His Beatitude Metropolitan Vladimir of Kiev and All Ukraine, the Primate of the Ukrainian Orthodox Church, passed away in the Lord, aged 78. 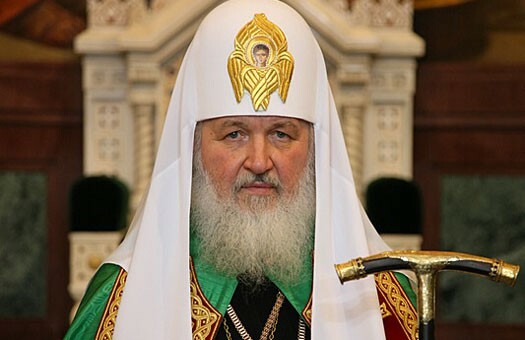 His Holiness Patriarch Kirill of Moscow and All Russia expressed his condolences to Metropolitan Onufry of Chernovtsy and Bukovina, Locum Tenens of the Metropolitan See of Kiev, to archpastors, pastors, monastics, and to all the faithful of the Ukrainian Orthodox Church. On the day of the demise of His Beatitude Metropolitan Vladimir of Kiev and All Ukraine, I express my deep and heartfelt condolences to the whole Ukrainian Orthodox Church. Words can hardly express what bereavement our Church suffers. I am grieving with all those who loved and honoured the deceased hierarch. Vladyka Vladimir and I had good, cordial relations for 49 years. I always remembered and appreciated that he had been among those who had laid hands on my head on the day of my episcopal consecration. We had close relations when we were rectors of the Moscow and St-Petersburg theological schools, when Metropolitan Vladimir served as the Chancellor of the Moscow Patriarchate, and especially when he headed the See of ancient Kiev, ‘mother of the Russian cities’. His Beatitude Metropolitan Vladimir was an outstanding hierarch of the Russian Orthodox Church; he enjoyed love and respect of the multi-million Ukrainian flock. The Lord Himself, through the Holy Spirit and the election of hierarchs at the Kharkov Council of the Ukrainian Orthodox Church in 1992, granted to the Ukrainian Church a great primate and pastor in the person of His Beatitude Vladimir, having laid on his shoulders a hard cross of responsibility for the fate of Orthodoxy in Ukraine. Vladyka Vladimir accepted the cross with humbleness and carried it for 22 years with meekness and fortitude, in a most difficult period of the formation of the Ukrainian state. Many a time, vortices and tribulations of the world rose against the Ukrainian Church, threatening to sink the church ship, but each time, her steerer held the ship on her salutary course by his firm hand, helping the Church remain invincible and united. Preserving the church unity was on the main services of the deceased hierarch. He was working had, with wisdom and patience, to build the Ukrainian Church, protected her for schism, united bishops, clergymen, and laypeople. 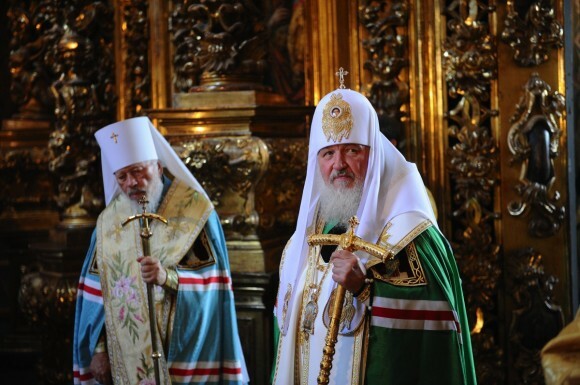 His Beatitude Metropolitan Vladimir won the well-deserved highest authority in the Ukrainian society. Even those who did not share his views could not help treating him with respect. It helped the Ukrainian Orthodox Church maintain decent, constructive relations with the state and carry out successful dialogue with the Ukrainian political figures, regardless of their views, for the benefit of the people. Repeating the words of St Paul, we can say that Vladyka Vladimir was“made all things to all men,” that he “might by all means save some” (1 Cor 9:22). The deceased archpastor made a great contribution to the life of our Church; he took to his heart all her sorrows and joys. I would like to note particularly his role in consolidating the hierarchs of the Moscow Patriarchate at the Local Council of the Russian Orthodox Church in 2009, after the demise of His Holiness Patriarch Alexy II. 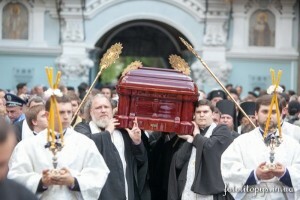 His Beatitude Metropolitan Vladimir enjoyed respect of the whole Orthodox world. The Primates and hierarchs of all Local Orthodox Churches held him in high esteem for being firm in preserving church unity and canonical truth. And now, when the time of his departure has come, we can use the words of St Paul to summarize His Beatitude’s life, saying that he has fought a good fight, he has finished his course, he has kept the faith, and henceforth there is laid up for him a crown of righteousness, which the Lord, the righteous judge, shall give him (Cf. 2 Tim 4:7-8). Eternal memory and gratitude be to the deceased Metropolitan Vladimir!